Singapore Renovations: Should I Paint My Home Or Install Wallpaper? When you think about renovation work for your home, then you need to plan a number of things for that. For this renovation work many people do not face any trouble selecting their furniture, carpet or curtain, but when it comes about their walls, then they always stay in dilemma. They fail to decide between wallpaper and pain and they keep wondering to find a solution for same. If you are in the same situation and you also wonder if you should paint your home or you shall install wallpaper in it, then this article may help you in that. Please understand, I cannot suggest you to take your decision on my opinion because my opinions can be biased or judgmental and may not be suitable for you. But I am going to share all the pros and cons of wallpaper and pain in your home and then you can take your decision in a much wiser manner. 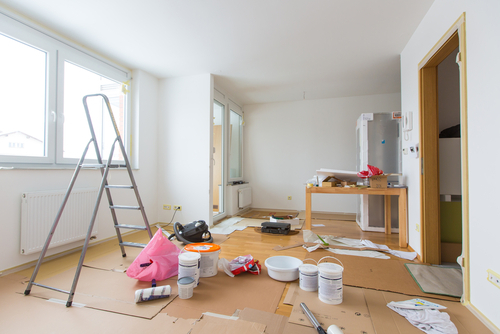 Preparation time: In your home renovation work, you may not have much time in your hand you may wish to finish the task as soon as possible. That is why time plays and important role in your selection. If you already have a plastered surface that does not have lot of damages in it, then you would not need a lot of preparation time for same. However, this is not the case with paint because you may need to give a lot of time for preparation before you actually start the painting. First you need to smooth the surface, after that you will have to use primer or putty and you can start the paint work only when this primer is dried up. That means paint will need much more time compared to using wallpaper for your home renovation work. Life time: The lifetime of wallpaper can be very long compared to paint considered you take good care of it. If you or any one in your home will use the walls as a dart board or if they would push knife and folks in it then it may not survive for a very long time. But if you can take good care of it, then wallpaper may last for several years and you will have nothing but good looks in your home all the time. You cannot have this freedom with paint because it will fade away in some time and you will have to paint it against to get good looks. Also, there may be other factors that can affect the paint work and that will not be a good thing for you in any manner. Hence, if you cannot give regular time for this, then also choosing wallpaper would be a good choice. But if you like to have new looks every time, then you can certainly go ahead with paint. Cost: The cost of the paint and wallpaper may vary depending on your choices. If you will choose a paint that is very costly then you may end up paying so much money for that home renovation works. We can say the same thing for wallpaper as well because there can be a wide range of wallpapers available for you and its cost changes with quality and material that you choose. Sometime that material can be very costly and sometime it can be cheaper. So, that is something you need to decide on your preference. As far as application cost is concerned, you will need to pay much less money for the wallpaper compared to paint. And if you do it by yourself, then you will need much lesser tool for wallpaper installation compared to painting your home for renovation. 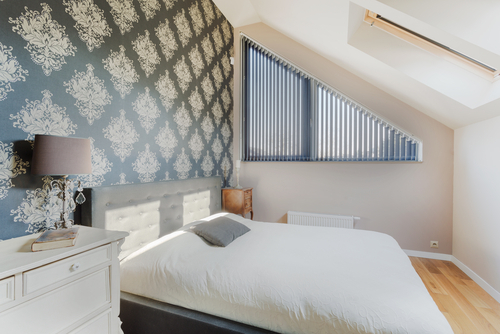 Look and feel: This can vary on people’s own preference because some people may like the textured finish of wallpaper and some may prefer smooth finish of paint. If you want to have textured finish in paint, then you can get that as well with some extra efforts. But some people want to have more than that and they prefer designs like flowers, animals or nature on their wall. A paint work cannot offer these things to you in any condition, but if you choose wallpaper then you can certainly get all these things. So, if you want to something special in your home, then you can choose wallpaper and if you prefer a home that looks elegant, classy and simple look, then choosing paint would be right for you. Here, you can choose an option that suit best for you without any pressure or force. Future changes: If you want to change your wallpaper in the future then things may not remain as easy for you. First you will have to remove the entire wallpaper and that will take a lot of your time and effort. That mean next time when you will start your home renovation work, then it can rupture your timeline unless you get the new layer of wallpaper on existing layer. And if you do it, then you will have to do it properly to get the best outcome. At the other hand, changing the look of walls from paint is quite simple and easy. For changing the paint you just need to apply a new layer of paint on existing one. If you don’t get the desired colour in one coat of the paint, then you can apply one or two more quotes on it. And if you decide to change the colour completely, you will have freedom for that as well in paint point. There can be various other pros and cons as well that are associated with wallpaper and paint. So, if you are in dilemma about selecting one of these options for your home renovation, then don’t ask people if you should install wallpaper I your home or you should paint it. Instead of that you shall check all the pros and cons of both the option, evaluate if it suits well with you and then take your decision for the best results.